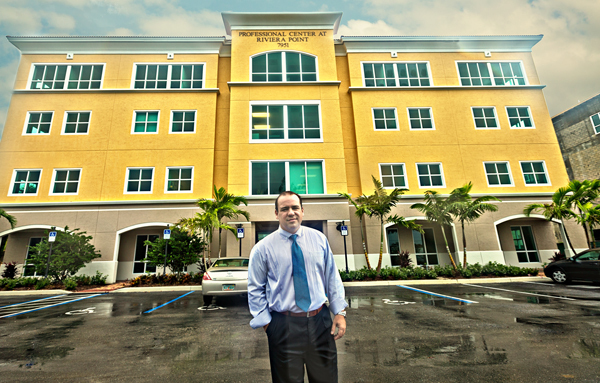 Chinese financing funded this office project in Miramar, said Rodrigo Azpurua of Riviera Point Development Group. When a Beijing-based partnership scooped up a Brickell Avenue development site for $74.5 million in 2014 and subsequently announced plans for a $1 billion mixed-use complex, it marked the first significant foray by Chinese investors into South Florida commercial real estate. The joint venture between China City Construction and American Da Tang Group appeared to signal that the region was primed for an influx of Chinese capital in the office, hotel and retail sectors. But nearly three years later, capital from Asia’s largest economy remains largely elusive for South Florida projects despite the fact that Chinese nationals now represent the single largest group of foreign investors in U.S. commercial real estate. 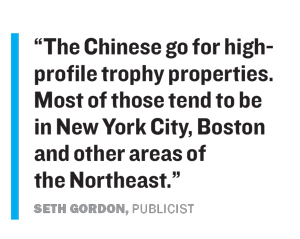 For one, South Florida lacks signature commercial buildings that attract high-net-worth Chinese investors and companies, said Seth Gordon, a Miami publicist who represented the China City Construction partnership and is co-chair of the Greater Miami Chamber of Commerce’s Asia advisory committee. The data seems to support Gordon’s theory. Recent reports by both CBRE and Cushman & Wakefield both found that China surpassed Canada as the country with the most U.S. commercial real estate investments. According to CBRE, Chinese investments in 2016 reached an all-time high of $15.9 billion. The survey also reported that Manhattan received $6 billion in Chinese capital for commercial projects, followed by San Francisco at $1.8 billion, but it makes no mention of South Florida. Cushman reported higher sales numbers, noting that deal volumes involving Chinese investors reached a record high of $19.2 billion in 2016, a 10 percent increase compared to the previous year. The cities that attracted the most Chinese nationals were New York City, with 46 percent market share, followed by the San Francisco Bay area, Los Angeles, Chicago and Seattle, with a combined 29 percent, according to Cushman. Five of the top 10 U.S. commercial real estate transactions in 2016 involving Chinese investors took place in New York City, including China Investment Corp.’s $1 billion purchase of a 45 percent stake in the former McGraw-Hill headquarters building at 1221 Sixth Avenue and $700 million purchase of a 49 percent stake in 1 New York Plaza in the Financial District, per the Cushman survey. Like the CBRE report, Cushman does not mention South Florida. However, South Florida has had some marginal success attracting Chinese investors through the EB-5 visa program, which grants permanent U.S. residency to foreign nationals and their immediate family members for investments of $500,000 to $1 million in development projects that produce at least 10 direct or indirect jobs. Still, developers who have sought foreign investors by qualifying projects for EB-5 visa status claim the immigration program has been successful in attracting Chinese nationals who otherwise would never consider South Florida. Rodrigo Azpurua, CEO of commercial real estate firm Riviera Point Development Group, said he obtained financing from 18 Chinese investors in 2014 through the EB-5 program. They helped fund the second phase of construction for an office complex at 7971 Riviera Boulevard in Miramar, which Azpurua’s company completed in 2015. Recently, Azpurua said, he recruited three Chinese industrial entrepreneurs from a region south of Hong Kong who are investing $3 million for two hotels Riviera is developing on Orlando’s International Drive near SeaWorld. “Through word of mouth, Chinese investors are slowly taking notice of the benefits Florida has to offer,” Azpurua said. Roger Bernstein, an immigration attorney who specializes in EB-5 projects, told TRD he secured two Chinese investors to help finance a $4.5 million loan for Tapco Restaurant Group that the company used to build two new Tap 42 gastropub locations in Boca Raton and Coral Gables. Bernstein said two more Chinese investors have agreed to help fund another loan for $10 million that Tapco will use to open locations in South Beach, downtown Miami, Aventura and West Palm Beach. Meanwhile, the China City Construction Brickell project may not be moving forward. Last October, the company merged with a Hong Kong firm and was renamed Asia Allied Infrastructure Holdings. Shanjie Li, chief executive of American Da Tang Group, is no longer involved in plans for the site at 1430 South Miami Avenue, Gordon said.